The close cooperation between Hard Rock and GiG is finally ready. As you know, earlier this year GiG signed an agreement with Hard Rock to become the official platform provider for its online casino. But all of this could not be official until GIG got the approval from NJ. In a recent press release GIG confirmed they had passed all the necessary hurdles to offer real-money play in NJ. In essence, GiG’s business where recently granted a transactional waiver. So, what does this mean in every day’s term? Well, this means that the division of Gaming Enforcement in NJ deemed that GIG services comply with the current law and rules and regulations enforced by NJ. In the same press release, the group’s CEO Robin Reed commented. “We are delighted to now be going live with Hard Rock in New Jersey. It’s the first step in our ambitious plans to take market share in the regulated online market in the US”. The businessman later added that when the states comprehensive process is complete, they’ll seek to obtain a Casino Service Industry Enterprise Licence. Which means that GIG good soon position itself to compete against American giants like Scientific Games and IGT. And all and all, it could also be a sign that other European platform distributors will expand in NJ. 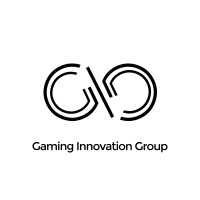 Gaming Innovation Group Inc (GIG) where founded in 2012. The company started as a casino provider with its own brand Guts. The company’s HQ is in Malta, with offices in Spain, Gibraltar, Denmark, and Norway with over 700 employees. From early days the group’s vision has been “To open up iGaming and make it fair and fun for all”. Additionally, GIG is more than a platform distributor. Indeed, the company’s interest boils down into 5 areas which are: Platform, Media, Gaming, Sports Betting and Casino services. Also, it’s important to point out that GIG is also listed on the Oslo Stock Exchange Market. But according to the recent press release the board could look into migrating to the NASDAQ stock exchange.